Numerous archaeological excavations are underway at a huge site in Anatolia which will uncover an ancient and rich yet forgotten kingdom known as Tuwana from the darkness of history, which will be featured in an open-air museum. 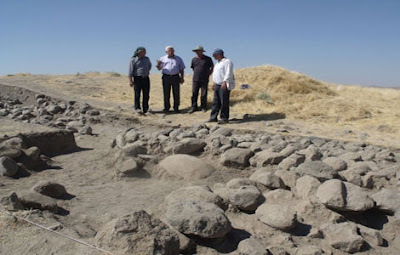 The news was reported by Lorenzo d'Alfonso, an Italian archaeologist leading the joint mission by the University of Pavia and NYU, who provided details on the excavation campaign in a press conference in Istanbul this month, during which the details of the Italian archaeological missions in Turkey were explained. 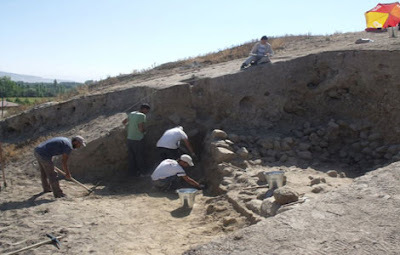 This "new discovery" from the pre-classical age which "needs to be continued" in southern Cappadocia took place in Kinik Hoyuk, the scholar said, referring to a site mainly involving the beginning of the first millennium BC. The area is "fully" part of the "forgotten kingdom" of Tuwana, said d'Alfonso, known until now through hieroglyphics and from several sources from the Assyrian Empire, but "never studied archaeologically": "A completely intact site that has been left untouched", trying to "place it historically to understand which civilisation it belonged to and what it's role was in the region". Kinik Hoyuk, the archaeologist said, is "one of the major sites" in terms of size in pre-classical Anatolia, if you leave the capital of the Hittites out: the most conservative estimates say that it spans 24 hectares "but topographers say that it could cover 81 hectares". "A completely new mission" is working here, jointly began last year by the University of Pavia and NYU, which began collaborating with Turkish universities such as Erzurum and Nigde. "The site was uncovered by excavations conducted by several colleagues, but its importance emerged in a campaign that we conducted," said d'Alfonso, who said that "southern Cappadocia is important because it controlled the Cilician Gates, or the passageway between the East and the West and between Europe and Asia": essentially, "one of the most important junctions" in the world during that period and at the "centre" of which lies Kinik Koyuk. Tuwana was a small buffer state between the Phrygian kingdom and the Assyrian Empire "and this is why it was particularly rich": "one of the great subjects of our study involves the cultural richness of this kingdom," said D'Alfonso, referring mainly to the development of the alphabet. 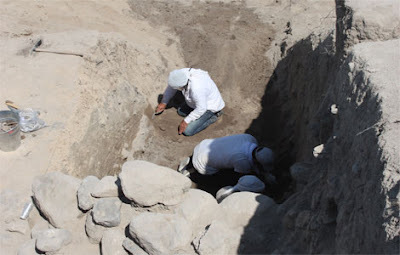 He pointed out that three steles from the Iron Age were uncovered in the area, "which are not very well preserved", but which do say a lot "about the importance that the site had". The strategy of the excavation, said the archaeologist, was guided by "geomagnetic surveys in 2010 which revealed particularly significant remains of the acropolis wall and buildings at the centre of the acropolis itself": "monumental" walls excavated "to a height of 6 metres" in an outstanding state of preservation (or at least which "are not easily comparable to other pre-classical sites in Anatolia, particularly the central region"). "Original plaster was found" on the walls and we are planning on reinforcing it before restorations take place" starting next year. 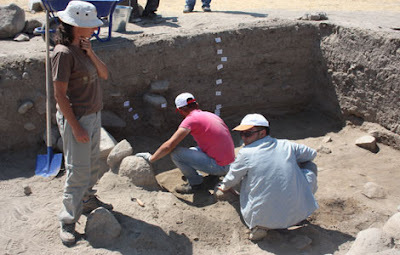 The excavation campaign was "planned from the very beginning to be transformed into an open-air museum": Kinik Hoyuk, underlined D'Alfonso, is "easily accessible". Its "strength" is that it is only 45 minutes from the major tourist attractions in Cappadocia (and less than 2km from one of the major 4-lane roads in the region). It is in the heart of a tourist route which is among the most important in Turkey, and therefore, the archaeologist said, the local government "fully supports the mission, seeing great possibilities for development in it". (ANSAmed).